Garnier Archives - Do You Speak Gossip?Do You Speak Gossip? 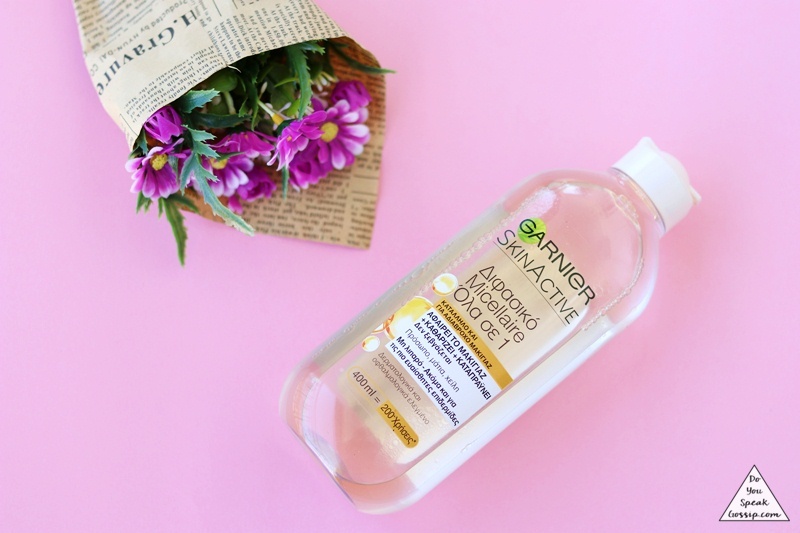 I’ve been using this oil-infused Micellar cleansing water by Garnier, for few months now, and I’m very satisfied by it. It’s a very potent makeup removing cleansing water, that is not at all oily, and doesn’t need to be washed off. It’s suitable for even waterproof makeup products, and you can use it on your whole face, eyes and lips. It’s suitable for sensitive skins, and it’s 400ml of product which will give you about 200 uses. You just shake the product before using it, and then put it on a cotton pad to remove your makeup. It has a very nice scent, which is not too intense and it removes your makeup easily and completely. It’s one of the best and most inexpensive micellar waters I’ve used and I’ll probably re-purchase it when this bottle is over. 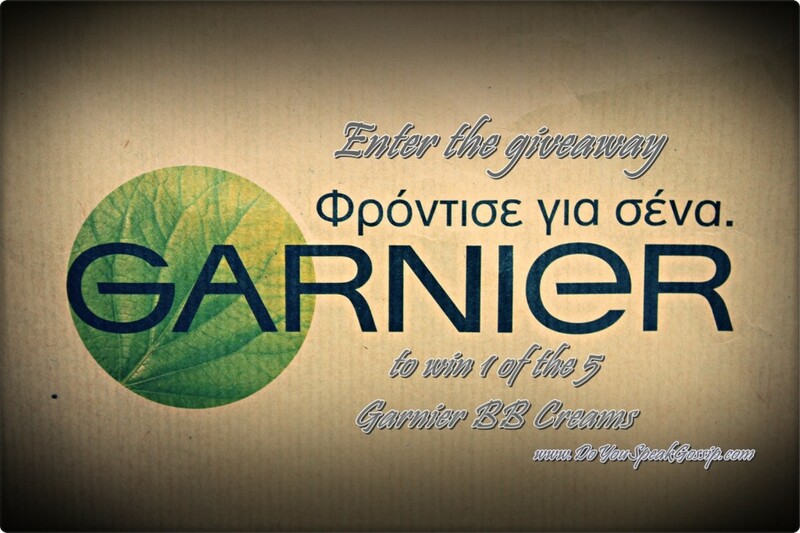 Sorry, but unfortunately this giveaway is only open to Greek residents. But I’m preparing something equally awesome for all my readers, really soon. Stay tuned! 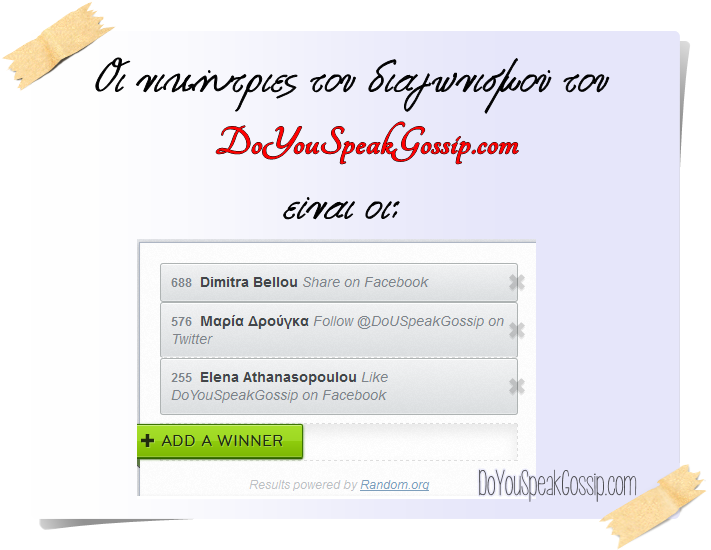 Το DoYouSpeakGossip.com, επιστρέφει με νέο υπέροχο διαγωνισμό για τις Ελληνίδες αναγνώστριες, σε συνεργασία με την Garnier. 3 τυχερές θα έχουν την ευκαιρία να κερδίσουν από ένα Fructis Miraculous Oil για τα μαλλιά τους. Now that my 2nd giveaway has come to an end, I have to thank everyone who participated in it. Never, in my wildest dreams would I have imagined that so many people would take part in my giveaway. The number of participants surprised me and I must say that I wasn’t at all prepared for it. It is a really difficult process, you can’t even imagine how much, if you haven’t done it, the old-fashioned manual way. Lesson learned, next time, I’ll use a giveaway plug-in. I said it again and again on Facebook and Twitter, but very few “listened”, that a comment with your info was needed for your entry to the giveaway to be valid. Those of you who did, won from 1 to 8 entries to the giveaway, and I’m really happy for you. As for the other ones, their entries were invalid, because I didn’t have the info needed. Some tried to leave fake comments to gain extra entries, and failed, and some others tried to take part more than 1 time (failed as well). 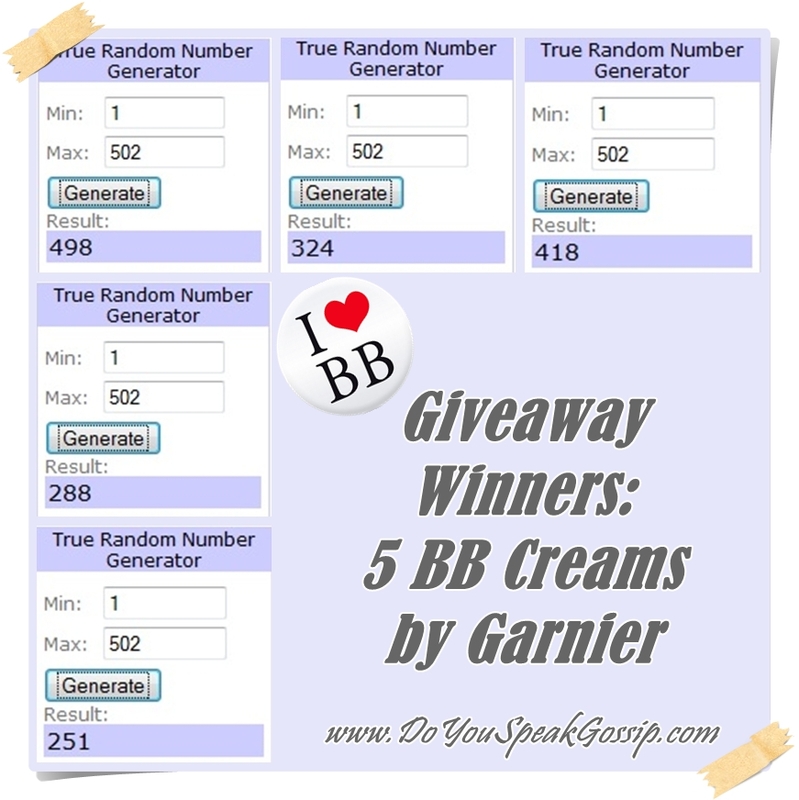 So without further ado, here are the 5 lucky winners of the BB Creams by Garnier. Many thanks to all of you who participated! It’s been exactly one month since my blog’s first giveaway, so I decided it’s finally the time for another one. The gifts from the last giveaway have already been received by the lucky winners, and the BB Creams that were sent to me have been waiting for their turn on the spotlight, for many weeks. Today it’s finally the day they will shine.